Park Grove Club Residences is the third tower of a three-tower, ultra-luxury condominium development called Park Grove. A collaboration between developers Terra Group and Related Group and architecture firms OMA and Arquitectonica, Park Grove is one of the most ambitious projects ever developed in Coconut Grove. Meyer Davis Studio designed the interior common spaces at Park Grove Club Residences while interior designer William Sofield designed the upscale kitchens and baths. Last but not least, acclaimed international landscape designer Enzo Enea created an outdoor oasis with his stunning landscape architecture. Completed in 2018, Park Grove Club Residences rises 23 floors and has a total of 129 condo residences comprised of one-, two-, and three-bedroom floor plans (see Park Grove Club Residences floor plans. Park Grove Club Residences has expansive balconies and 10-foot high glass walls to maximize natural light and offer stunning, picturesque views. Some of the many amenities enjoyed by residents of Park Grove Club Residences include: 5-acres of lush, landscaped grounds; a rooftop pool deck offering some of Miami’s most incredible views; a signature spa, indoor and outdoor yoga and children’s play areas; 28-seat screening room; wine storage; private dining rooms; and aromatherapy saunas. See our Park Grove review and photo tour. Park Grove Club Residences is located in Coconut Grove at 2831 S Bayshore Dr. It is walking distance to the shops, restaurants, cafes, and bars at CocoWalk. Additionally, a short drive from Park Grove Club Residences takes you to Brickell, Downtown Miami, Key Biscayne, and South Beach. For international travel, marinas, two international airports, and an executive airport are just a short distance from Park Grove. What is the Park Grove Club Residences address? The address for Park Grove Club Residences is 2831 S Bayshore Dr, Miami, FL 33133. How many units does Park Grove Club Residences have? 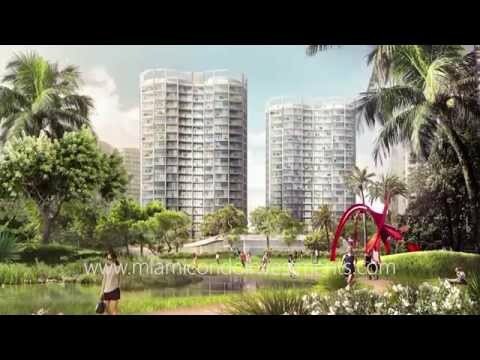 Park Grove Club Residences has 129 condominium residences. How many floors does Park Grove Club Residences have? Park Grove Club Residences rises 23 floors. What year was Park Grove Club Residences built? Park Grove Club Residences was completed in June 2018.